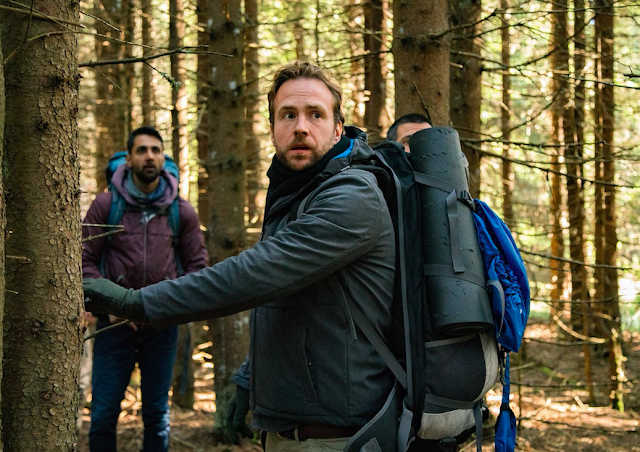 Haunted by his friend’s tragic death, Luke (Rafe Spall) embarks on a hiking holiday in memoriam, alongside three mates. With one of the group injured, they soon decide to take a shortcut through the forest - spending the night in a mysterious cabin where things quickly take a turn for the worst. 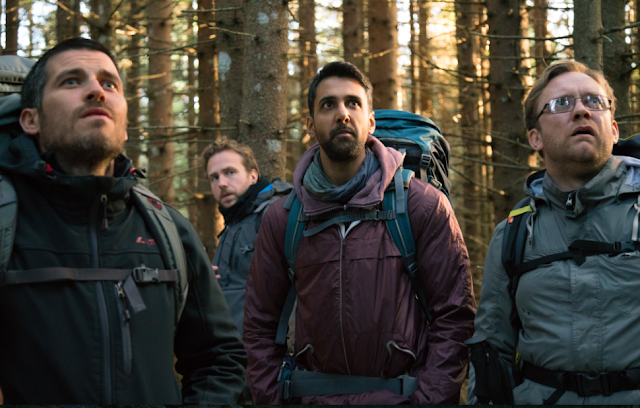 Based on the 2011 horror novel by Adam Nevill, The Ritual follows four friends as they hike across rural Sweden in honour of their friend, Robert (Paul Reid). With the end of the trek in sight, a member of the group is suffering from a knee injury - causing them to seek out a detour through a patch of forest. But as the sunlight fades, they decide to set up camp in a seemingly abandoned cabin. Spending the night in the shelter, the group become aware of strange and terrifying goings on between the trees. A group of friends enter the woods, what could possibly go wrong? Of course, the narrative itself is nothing far from what we've seen before. With so many recognisable genre conventions, it's clear that director, David Bruckner, has done his research from the classics - The Blair Witch Project (1999) and The Evil Dead (1981) being the most prominent comparisons. Arguably, however, this is what makes the film so refreshing. 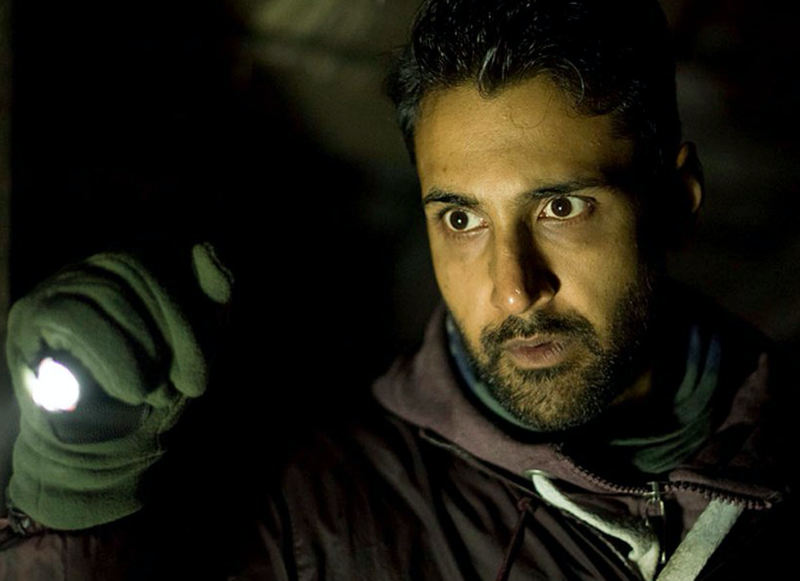 Unlike many horror titles from recent years that go to such extremes to be something they're not, The Ritual breathes fresh life back in to the traditional horror. With suggestions of an ancient Scandinavian evil, creepy cabins and spooky sounds coming from the woods, it makes for a well grounded and solid genre piece. It seems that much pleasure can be found in taking an established format and executing it really well. That is not to say that The Ritual lacks in ambition. In fact, it's quite the opposite. Having paired up with Andy Serkis' The Imaginarium, the film is able to present a new and unique 'monster' with fantastic visual effects. Having built up to an intense finale, the unrevealing of the creature is purposefully brief to keep us eager for another glimpse. Besides the usual horror codes and conventions, the film does not waste time with predictable bad choices on the characters' part. Having come across a gutted deer early on, the group are quick to realise the potential dangers. Having gone from playful, laddish humour, the tone soon changes when they turn on each other in panic. The real success of this can be found in the solid performances by the cast. The chemistry between the four appears genuine; as does their dialogue which makes it all the more intense when their dynamic falls apart. Rafe Spall is naturally on top form and arguably one of the main successes of the film; alongside Arsher Ali, Sam Troughton and Downton Abbey's Robert James-Collier. His character of Luke is consumed by PTSD and guilt having survived the violent off-licence robbery which claimed his friend's life. To make his hell all the more present, Luke is forced to relive the events of the tragic event whenever the 'creature' is near - beautifully juxapositioning part of an office licence within the wood. His subtle twitches and gestures add a tremendous depth to the role - taking what is essentially a small budget horror in to the big leagues. However familiar the narrative, The Ritual is one of the British horrors audiences will have seen in a long time. It's occasional attempt at humour and British sensibility brings to mind that of Christopher Smith's Severance (2006), with the despair of The Descent (Neil Marshall, 2005) - for all the right reasons. 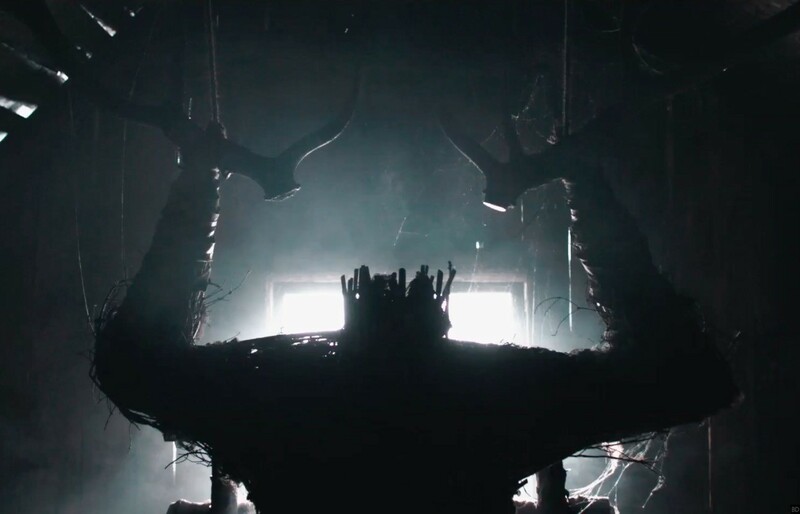 Despite one or two questionable shots and, ultimately a standard horror narrative, The Ritual is a comfortable yet totally enjoyable watch for horror fans. The Ritual gets a Sophie star rating of 3 and a half stars and is in cinemas from October 13th. That's it for another film review. Will you be seeing The Ritual in cinemas this weekend? What are some of your favourite horror films? As always, I love reading your comments so please do leave me lots of lovely ones below. Huge thanks to Entertainment One for allowing me to seeing this ahead of release - it's always nice to go to a screening and come out feeling like you've seen a good'un. It looks interesting. If it were playing in America, I'd probably see it because Robert James-Collier is in it. Alas, I think it's only playing in the UK and other selected parts of Europe. Do you plan to do a review on Bladerunner 2049, Sophie? Maybe if they reintroduced the intermission, movies as long as that would do better at the box office. Ah is it not playing in the US at all? I'm sure it'll make it on to Netflix of NowTV shorty if not :) Are you a fan of his from Downton Abbey? I was going to and it sort of got away from me - maybe I could still do one after Halloween. It'll be in my Top films of the year for sure though! Have you ever been to NY, Gil? No, I was looking for it online and then I went to IMDb where it said it was released at the Toronto Film Festival but it other than that it was only playing in Europe. I thought Rob did a wonderful job playing Thomas Barrow on Downton Abbey, starting from being an outright villain to becoming more sympathetic especially in the final season of the show. Oh, I'm glad that you think highly of Bladerunner! Oh yes, I have been to NY. I actually lived there until fairly recently. I think I will give this a try when it's out on DVD. I don't go to the cinema much! I think I will like this one to be fair but I'm still waiting on a true scary one!